Back in the seventies there was hardly anybody surfing the waves of Rodanthe. Nearly everyone coming to Hatteras Island to surf, drove right through Rodanthe, Waves and Salvo, and continued straight to the jetty at the Cape Hatteras Lighthouse. The waves at the lighthouse were refined and legendary. So it was a the premier, sought-after surf spot. The waves of the tri-village area however, were mostly overlooked by the masses, so naturally they were less crowded. It became my home, and I began to surf with the locals that grew up there. Back then, Asa Gray was one of the locals, and was still in high school. Known as “Buddy”, he also worked as a commercial fisherman. 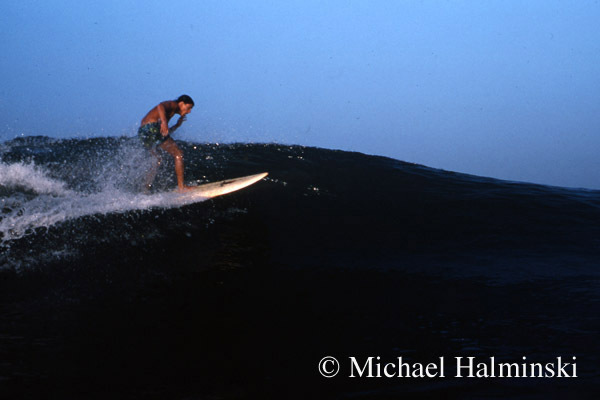 Being big in stature, his surfing was powerful, and he went for it. 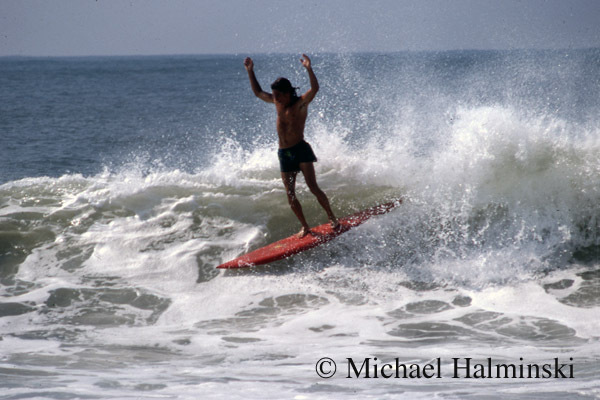 He knew the water, and was fearless, even in the big, crunchy shorebreak which has now made Rodanthe so popular on the surfing scene. Buddy doesn’t surf any more, but is still actively fishing and running his campground. Buddy Gray on a nice right at the Salvo Shipwreck back around 1974. 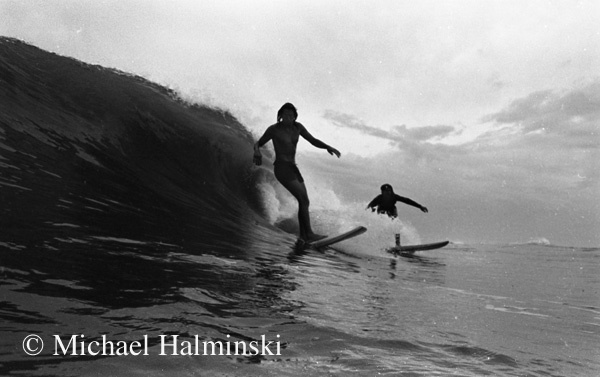 Asa’s powerful style is seen in this backside off the lip at S-Curve in 1978. Irvin Midgett was a home boy that surfed, and also a commercial fisherman. He was a smaller guy, but had a go-for-it style in the waves. He still surfs as a goofey foot, which means he’s a lefty. Irvin contnues fishing, and coincidentally also runs his own campground. Irvin riding his Plastic Fantastic in 1977. Irvin Midgett riding high on a nice glassy face just north of the Rodanthe pier. 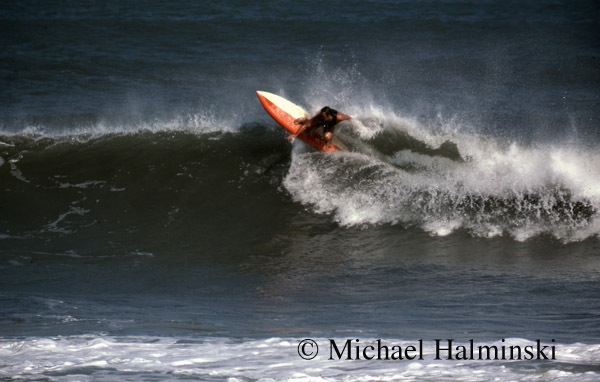 This entry was posted in Outer Banks, People, surfing on February 19, 2011 by j0jgvm89bj.